Women are at no increased risk of womb cancer or invasive breast cancer after receiving assisted reproductive therapies, a large UCL-led cohort study of 250,000 British women has found. Researchers found a small increased risk of non-invasive breast and ovarian tumours, but the study concluded the results may not be due to the treatment itself and further investigation is required. The study, published in the British Medical Journal, was carried out by UCL Great Ormond Street Institute of Child Health, UCLH, and the Institute of Cancer Research, and funded by Cancer Research UK and the National Institute for Health Research (NIHR). 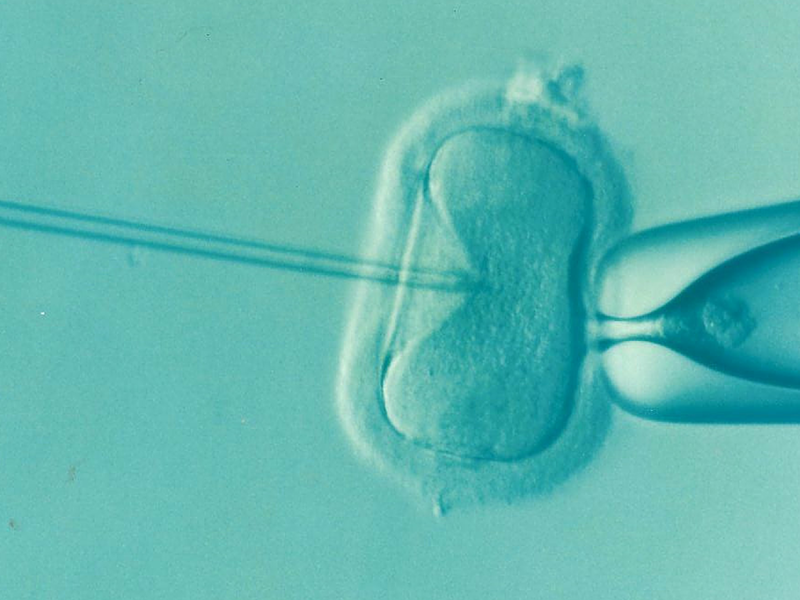 Assisted reproductive technology (ART), which includes IVF, is practiced worldwide and more than five million children have been born as a result. However the process usually involves exposure to high levels of hormones, which can carry an increased risk of breast, endometrial (womb), and ovarian cancers. Results of previous studies on risks of reproductive cancers in women who have undergone assisted reproduction have been inconsistent. Professor Alastair Sutcliffe (UCL Great Ormond Street Institute of Child Health) said: "This is by far the largest study and represents good news for women and couples considering assisted reproductive technology or those who have already had ART. "While we found a small increased in ovarian cancer, this was not due to the ART treatment, but part of the underlying characteristics of those women already at higher risk. "This study was only possible because the NHS and its agents exist and Cancer Research UK supported our work." The researchers set out to investigate the risks of ovarian, breast and womb cancer in women who have had assisted reproduction. Cause of infertility involved at least one female factor (e.g. endometriosis) in 111,658 (44%) women. Infertility was unexplained in 47,757 (19%) women, and was due only to male factors (e.g. low sperm count) in 84,871 (33%). An increased risk of non-invasive (in situ) breast cancer was detected (absolute excess risk of 1.7 cases per 100,000 person years) which was associated with an increasing number of treatment cycles. An increased risk of ovarian cancer, both invasive tumours and borderline tumours (absolute excess risk of 5 cases per 100,000 person years), was found but this was limited to women with other known risk factors, suggesting it may be due to underlying patient characteristics, rather than assisted reproduction itself. They point out that this is an observational study, so no firm conclusions can be drawn about cause and effect, and they outline some limitations that could have affected the results. However, strengths include the large sample size and long follow up period, which enabled them to adjust for potentially influential factors. And they conclude that ongoing monitoring of these important outcomes in this ever growing population is essential.